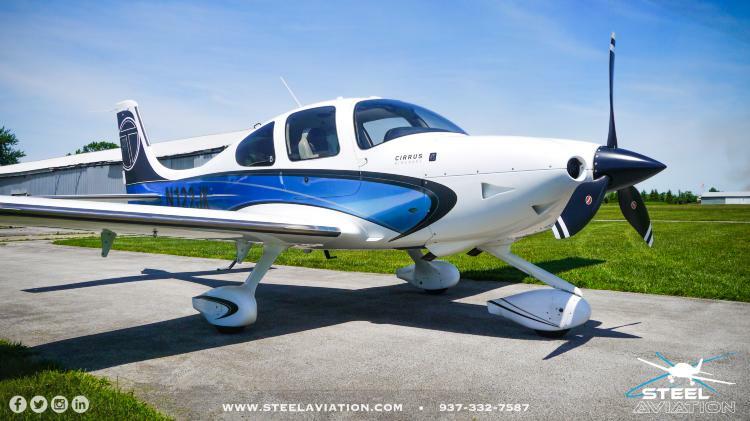 One owner this one is a fantastic choice in the used Cirrus Market. Excellent maintenance, care, and history put this one on your short list! All Ads are in compliance, complete and continuous logbooks. Nicely upgraded and loaded! Call us to learn more. Just gorgeous. All over crisp clean white with blue, black and silver accents. Hangared and it shows nicely. Interior is a mix of white and black leather. Sporty and sharp!